All of this is based off my Roleplay server, if you're interested in joining, look for Medieval Unlimited under my profile. - How did it come to be? - How did the civil war start? - Did you build all of it and how long did it take? - What does A.T. stand for? Merek is a territory on the continent of Evlar, Evlar consists of many territories and countries. Two being Merek and Carac. Merek is located just East of Carac's biggest area, I'm planning on making a map or something soon for it so you have an idea what the continent looks like. Merek came to be long ago, The Favian kingdom came to the territory and claimed it as their land in 1183 A.T. for years the kingdom grew, and the Monarchy became more corrupt. The Favian kingdom's Monarch grew corrupt over the years, only focusing on himself, forcing people to work for his greed, and giving little to nothing in return, it got to a point where bodies would line the streets, all died from lack of food, some even from dehydration. I Marshal Tharben (Roleplay character), and Brenard Eastrowe had been survivng by stealing from guards. We ended up sparking the tinder for a civil war, that tinder caught fire. That's a story for a differen't time I suppose though. I'll go into more detail as of how I got to Evlar and Merek later in a blog or something. I indeed did build all of it, with the help of my friends BroadCo and Blockin_Hood! 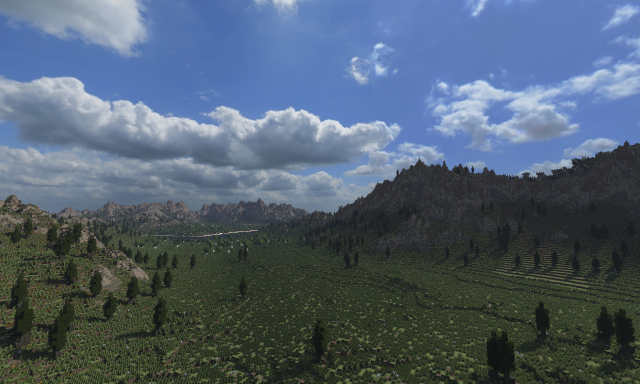 I did all of the terrain, everything is 100% custom including the trees. The houses are all in a Skyrim type of style I suppose. I don't even know what I'd call it. That's where BroadCo and Blockin_Hood mostly helped me. The Keep's are done in a English style, along with mostly the rest of the castle. 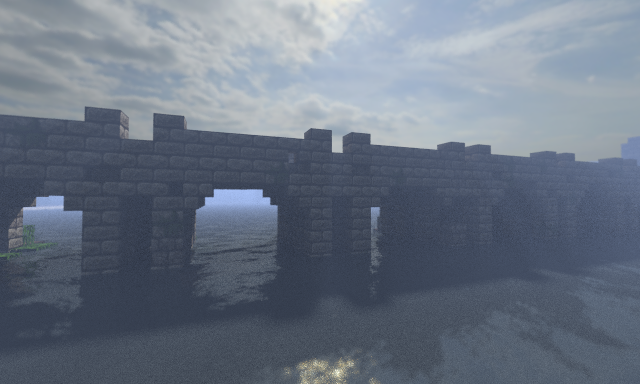 Kingsborough is a mix of the Skyrim style and the English keep style, it looks great, check it out. It's controlled and also the home of the Terrowin kingdom. It also probably took, half a year to get to this point, of course it wasnt straight building, but that's when I started the project. Carac is Merek's sister country. 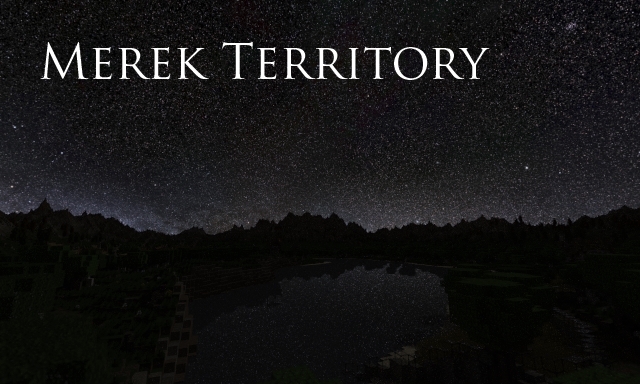 It's located to the west of Merek, and is actually featured as the server's spawn. If you were to look at Evlar from above, you'd see that the Merek river actually cuts right through Carac's northern tip. A.T. stands for "After Tarna", it's essentially the god. I'm not gonna make lore about that because it would be too much work, I may sometime in the future if I'm bored. Ok well that pretty much it, if you have anymore questions, ask them in the comments and I'll try to answer them the best I can. Here, I'm going to make a list of everything on the map and who controls it. Keep in mind, making the main cities was my biggest focus for the longest time, because it's basically the starting point for everything on the server. 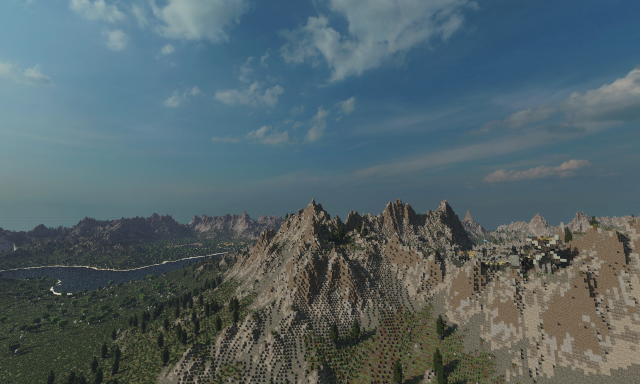 The server also uses the Dynmap plugin, click here to go to the live map. This is a ruffly done map of the world for my server, showing you Merek, Carac, Gerec (Witch I did not mention), and the whole continent itself, Evlar. 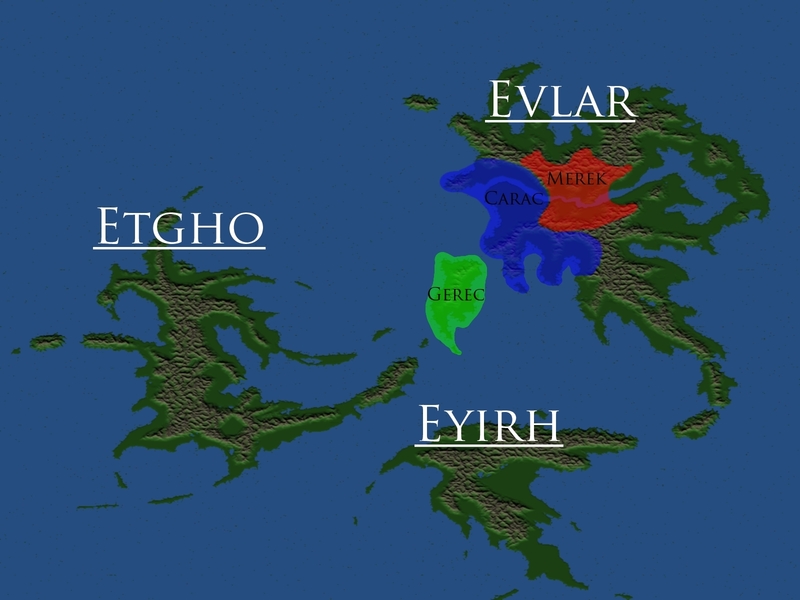 I've deicded to make Etgho and Eyirh along side Evlar because, what planet only has one continent. Okay, besides Earth a long time ago. Essentially, everywhere there's not a territory or country is "Unexplored". Obviously the Merek river has been explored, but there is no civilization down near the lake. 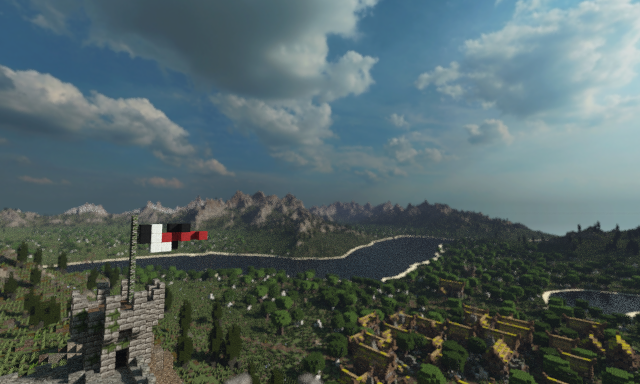 Keep in mind this whole map was ruffly made in about an hour in World Machine just so the players of my server and lore lovers had an idea of what the world looked like. 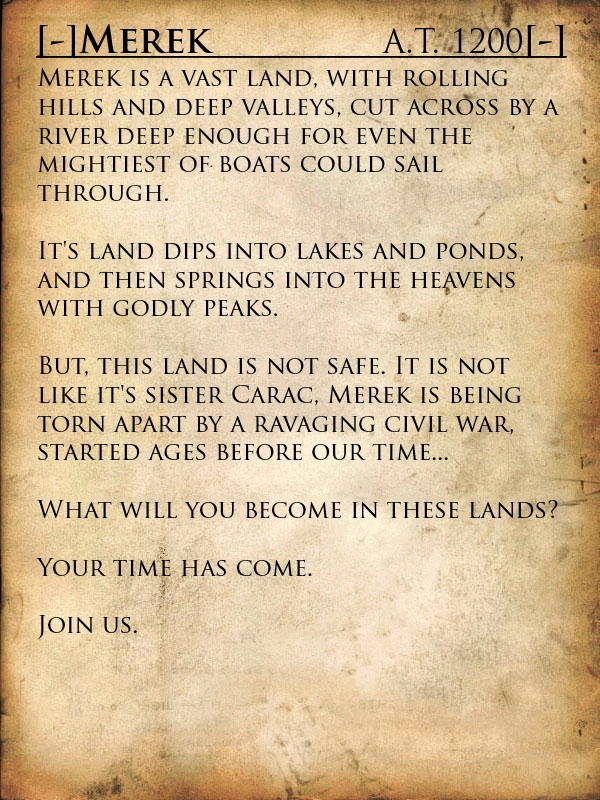 The server only takes place in Merek, and slightly in Carac. The story behind Gerec will be explained in the backstory of Marshal Tharben, my Roleplay character. 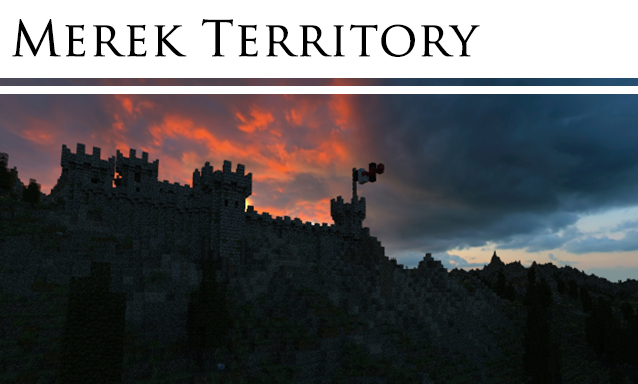 Merek, a beautiful territory consisting of 4 valleys, torn apart by a bloody civil war. It's located near the heart of Evlar. Carac, located on the most western coast of Evlar, is a peacful country controlled by a Monarchy. It is rich because of its well maintained and used ports. It's trade is amazing. Gerec, a republic located just south west of Carac. A rather poor island. May update daily now. Working on alot of other project though. 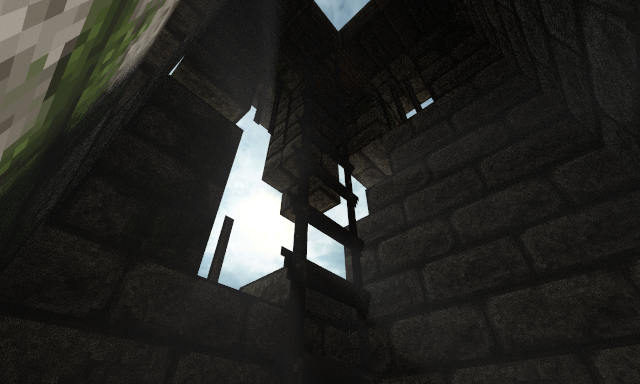 +Added more interiors to Brist. 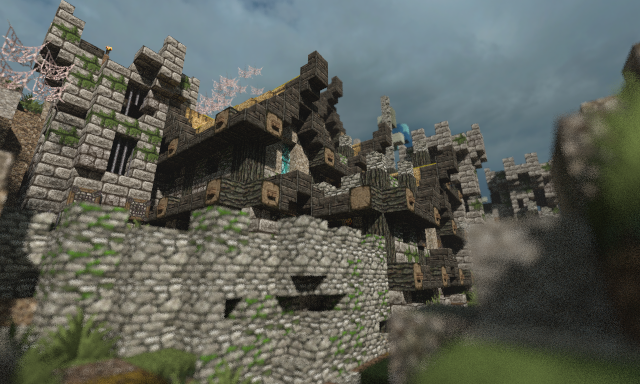 +Added more houses to Greu. +Added more interiors to Kingsborough. +Added more roads around the map. +Added more fast travel points. +Added more trees the the southern forest near Greu. -Removed weird floating trees on the southern moutain range. +Added more detailed river near Greu. 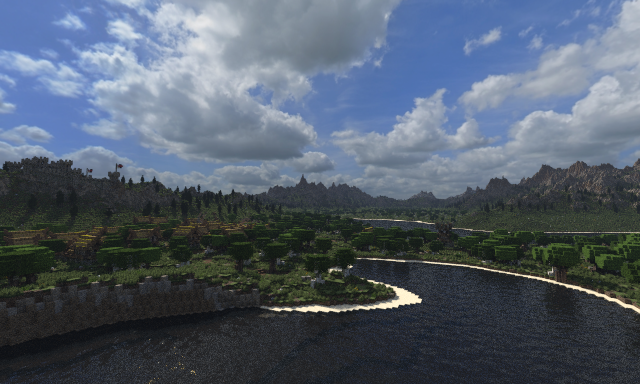 +Added trees around Godet Castle. Sad to say, but it never will be finished. I've started a new map. a massive continental scaled map. Most detailed thing I'ver ever built in all my years in Minecraft. I just realized it took me 10 months to get that project posted lolol, wowww. and what is this texture? Can you put a world download? Also, what size is the map? Love it, server is fun too. 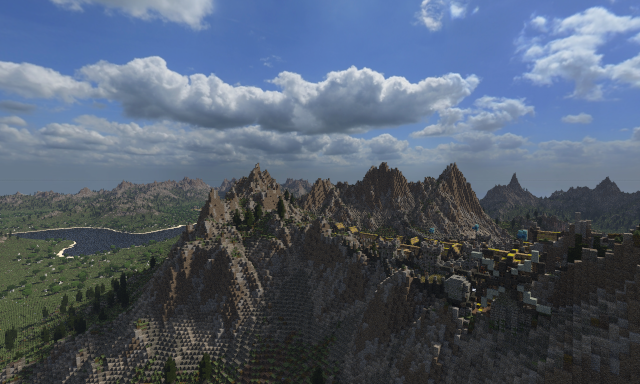 Once more building and settlements are done, it will be one of the best servers out there. Amazing work mate! I love it!!! Subbed and diamonded! did you made the trees yourself or did you used a treepack? OMGOMGomgomg. So do I. We are so alike. Wow! This terrain is super impressive! Keep up the outstanding work! Now that's an impressive landscape. I just wish you'd let us enjoy bigger pics. Any chance? Thanks, and not really. I've deicded to eekp them smaller so the render times faster. 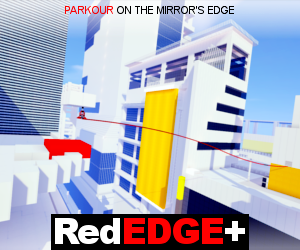 If you want, you could hop on the server and take a look around.